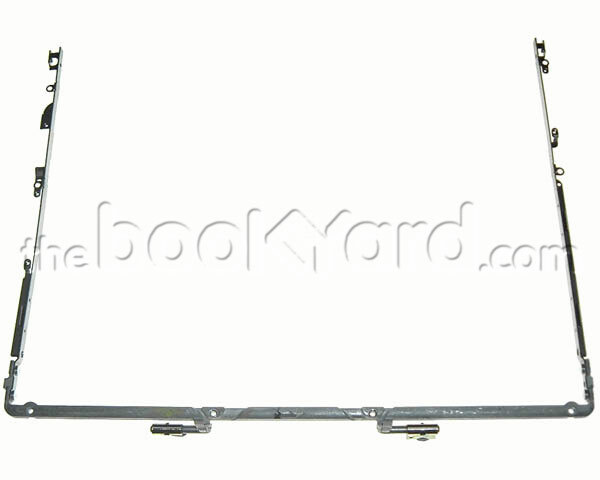 Composite rigid display frame with integral clutches & hinges for all models of dual usb 12" iBook G3. The hinges on the iBook range are riveted to a solid alloy frame into which the LCD panel fastens. They cannot therefore be replaced separately. This is a used, tested part from a recycled iBook.